History was made on Monday night in Iowa. Republican Ted Cruz became the first Hispanic candidate to win a presidential caucus or primary. Ever. You must be sick of hearing about it. After all, the mainstream print media and the liberal talking heads on CNN and MSNBC love this stuff. First African-American this. First Latino that. Wait. You didn’t hear about it? Nothing from progressive queen Rachel Maddow or her twin Chris Hayes? New York Times grievance monger Charles Blow loves writing about how “persons of color” are good and white people are bad. Anything from him? It turns out that this is a story the liberal intelligentsia wants nothing to do with. Ted Cruz’s victory, along with the fact that 60% of lily white fly over Iowa Republicans voted for an Hispanic or African-American to be their president, undermines the only narrative keeping the Democratic party and its allies in business: that Republicans are racist. Without repeatedly telling this blatant, knowing and disgusting lie, Democrats face having to monopolize minority voting blocs by peddling – on their dubious “merit” – tired policy prescriptions that have hurt minorities time and time and time again. In my hometown of Chicago, a city run exclusively by Democrats, the adult (20-24 years old) unemployment rate for African-Americans was 59% as of 2014, while the unemployment rates for young African-Americans and Latinos stand at 12% and 15%, respectively. Female Hispanics have seen a 44% drop in their employment rate over the last five years. This is the same city in which liberal politicians bemoan the plight of children they’ve left undereducated, while they fight efforts at education reform – like charter schools and vouchers – to protect a feckless teachers union. The result: the Illinois State Board of Education reports that less than half of Chicago Public School students meet state standards, and only 26% of high school seniors will graduate college-ready. This same sad tale can be told in Democratic strongholds all over the country – from Detroit to Baltimore to Los Angeles to Ferguson. Each of these cities is the result of the progressive mix of over-promising and under-delivering, corruption, institutional ineffectiveness, cronyism and special interest-focused politics. That combination invariably shatters the relationship between self-professed public servants and the public they claim to serve. So there is no wonder that the left remained silent as Tim Scott, a Republican African-American Senator, endorsed Hispanic Marco Rubio in Scott’s home-state of South Carolina, the Governor of which is a female Indian-American Republican. I think Melissa Harris-Perry’s head just popped off of her narrow shoulders! But what about Republicans? 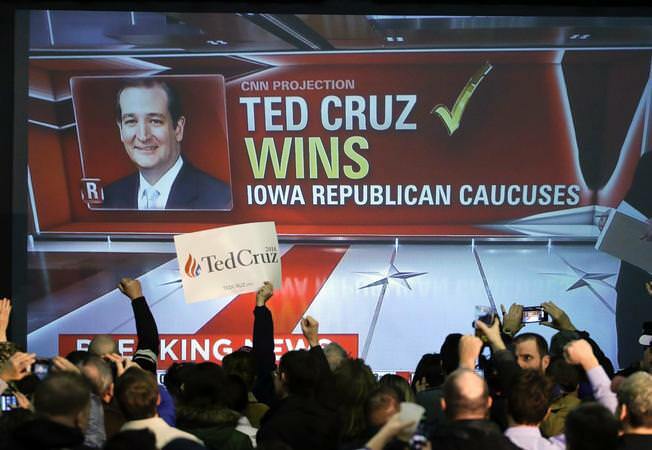 Why aren’t we celebrating a Cruz victory as historic? The short answer is because we don’t care. Ted Cruz’s ethnicity, Ben Carson’s race, Carly Fiorina’s gender, are meaningless to us. We merely want someone who reflects our conservative values, regardless of what they look like or where they are from. Iowa proved that. In recent months, we’ve seen a frustrated electorate send a strong message to politicians they perceive to be entrenched in power. Born from that sentiment is an opportunity for Republicans. This is a chance to build new coalitions among minorities, who, as Americans first, understand that greater individual liberty and smaller government lead to greater prosperity for everyone. Everyone. And in the process we can defeat a political movement and a party whose calling cards have been defamation and deceit all along.